Pipe deblocking using water. 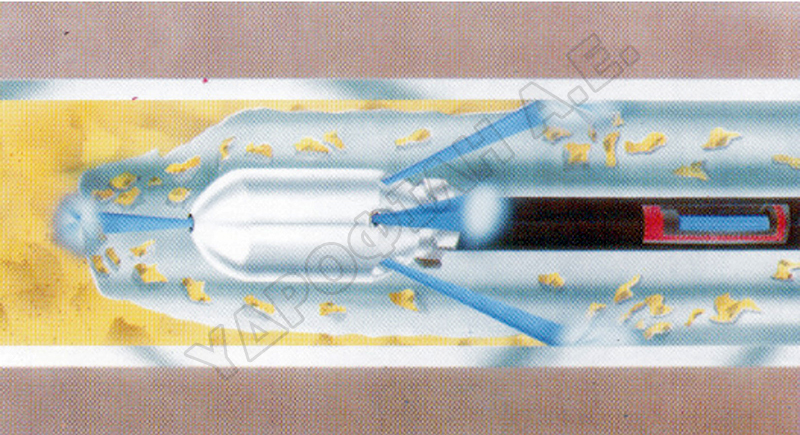 A high pressure pump supplies water with the help of an elastic pipe to the cleaning nozzle that is connected on the top of the pipe. The water is released with pressure backwards and pushes the nozzle forward. Water pressure dissolves accumulated grease and transfers solid materials, pebbles, sand etc. to the shaft. In case there is a great quantity of materials, their removal is carried out by suction. Then, materials are gathered in the tank of the cleaning vehicle. Pipe deblocking using electric spirals. Electric spirals penetrate the blocked pipe, removing deposits, salts and grease, thus cleaning the pipe walls. Selection criterion for the proper nozzle is the reason that caused the blocking.